The work is fine but the costs is a little pricey. Fast, efficient and happy to have the work. This business is very happy and responsive to a customers needs. 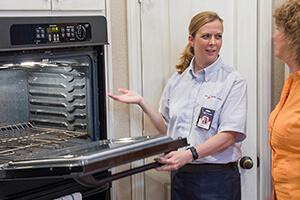 I could not have selected a better business with which to take my appliance needs. Very fast, cautious techs, fair pricing and great follow up after service.